Use the code FALL25 now and you can benefit from $25 off any purchase of $50 or more at Orvis (expires Oct 5th). Even better, you can get three for the price of two on both types of polo shirt up until the end of December! As we head into fall, their long sleeve polos and warm flannel shirts are just the thing to ward off the morning chills. 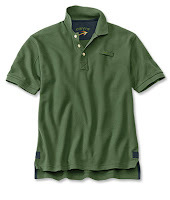 Orvis is well known for its outdoor and sporting clothing and it is one of few mail order / internet companies to offer tall sizes, which are available for their most popular items, like the Orvis "Signature" range. Their shirts in flannel or cotton with 20% merino wool are just the thing for cooling weather and for some shirts, tall sizes are an impressive 3" longer in sleeves and 3.5" longer in body! Tall polos offer an extra 1-1.5 inches on sleeves and 1.5 inches on the length of the classic fit polo shirts, which already have neat features like a longer body and reinforced tail to tuck in neatly. Still need more options to choose from? 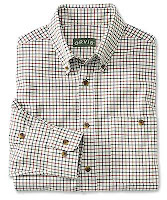 If you are tall and slim, Orvis classic fit shirts will definitely not give a slim fit, if that's what you like. 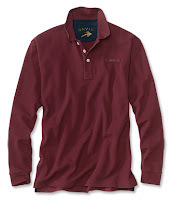 Sadly, tall sizes are not available for everything at Orvis (don't bother looking for pants or sweaters here if you're tall) but the shirts and polos are certainly worth checking out, especially when there are reductions. 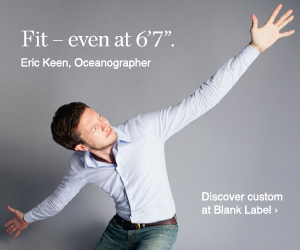 For sizes specifically designed to cater to tall men, head straight over to Tall Slim Tees where the sizing system covers men from 6'0 to 7'0 and there is very clear guidance on what size fits what height and weight, making it that much easier to choose! 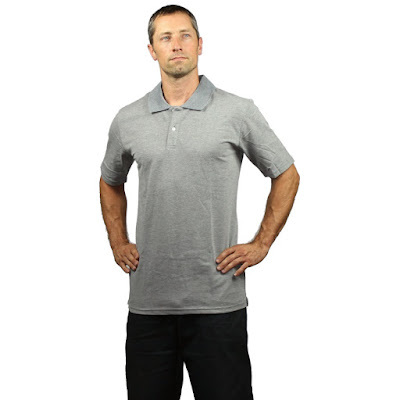 The short sleeve pique polo comes in six colors and is made of 65% cotton and 35% polyester so it will have a slightly softer, smoother feel than pure cotton. Don't forget to check out the other T shirt styles as well - tall stores need all the support and encouragement they can get! 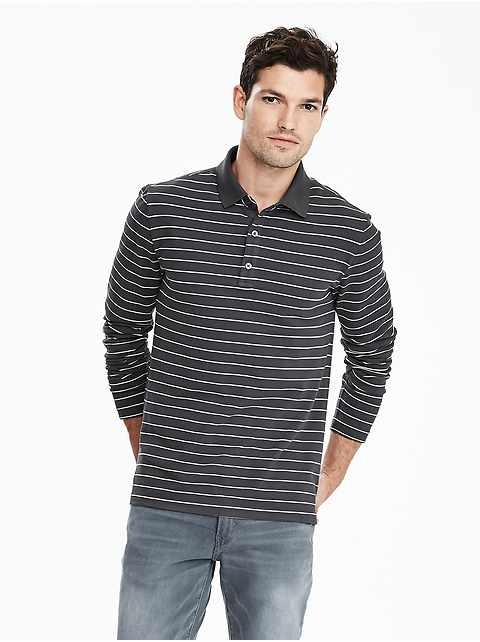 Another option to try is Destination XL where there is a range of cotton polo shirts in tall fittings from Polo Ralph Lauren, Lacoste and Cutter and Buck. However, sizes are from Large Tall upwards and the range of colors and styles is greatest if you are big and tall. 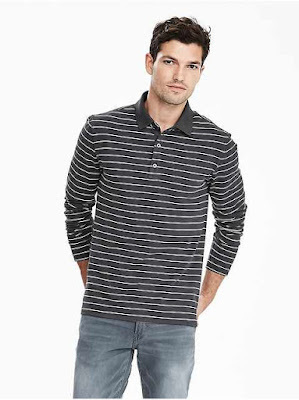 If what you really need, is all round cheap prices, you can also try tall fit polo shirts at Old Navy in the $10 - $15 range or its upmarket brother Banana Republic where they are in the $35 - $45 range including options for a long sleeve tall polo shirt.